December 4 , by Stacie Hooder. Isn’t this organza bracelet beautiful? Ekaterina is giving away this lovely piece she calls “Holiday Shimmer” at the Etsy Russian Team Blog. Take a look to find out how you can enter for your chance to win. 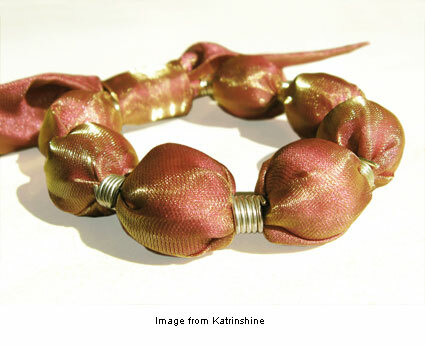 Katrinshine is Ekaterina’s blog home. Take a look at the other cool stuff she’s been up to as well.